A leading super and expedition yacht crew agency. Our vision is to raise the bar in crew appointments. We place elite, professional and committed crew by drawing our candidates from those who have served in the armed forces. A former Royal Marines Commando with over six years’ completed service, leaving after achieving the rank of Corporal. 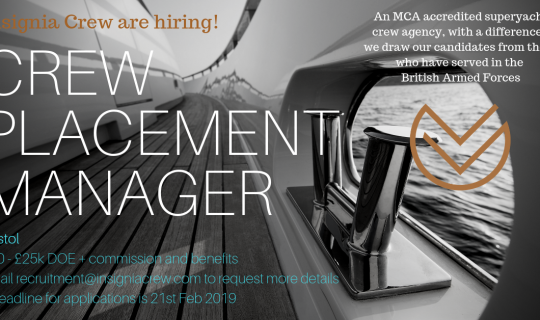 A former Royal Marine Powerboat Coxswain and Deckhand with significant experience conducting tender and deck operations. A former Royal Marines Commando with a proven track record of over 10 years operational experience in both conventional and non-conventional aspects of conflict. Insignia Crew’s unique understanding of Armed Forces personnel makes them the first and last point of call for placement within the Superyacht industry. 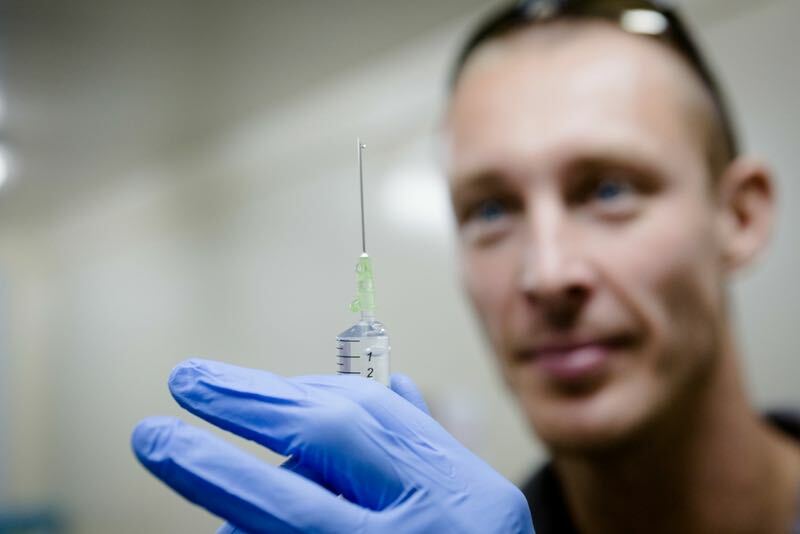 I found Andrew to be very hands on and proactive with recruitment and finding me the best role, all whilst keeping me well informed every step of the way. My experience with Insignia Crew has been exceptional; they helped with my CV, gave great advice of how the industry works and within weeks my details were aboard multiple yachts. There is constant comms and reassurance from Insignia Crew – they are the only company to even stay in touch let alone get you job offers. I was introduced to Andrew of Insignia Crew via Katharine Callus of The Royal Marines Charity. He sat down with me and told me every course which I needed to complete to help make my dream of working in the Superyacht industry come true. Thank you to The Royal Marines Charity who were able to fund me and put me into contact with a man who knew exactly what to do and how to get me there. From the first contact, Andrew at Insignia Crew was extremely helpful and gave me a clear introduction of how I could work in the maritime sector. Insignia Crew have been fantastic, with constant communication. They have a superb network in the industry and I felt they were dedicated not only to finding me a job, but really wanting to find the right job for me. I am delighted to be able to suggest Insignia Crew’s recruitment services where I think their experience and contacts might result in a new and exciting career for those leaving the service with an affinity for a life on the water, and can personally vouch for their care, ethics and professionalism in my dealings with them to date. It is very clear from first meeting Andrew and his ongoing efforts that he is completely committed and passionate about creating opportunities for veterans. Having such an individual advocating so fervently on the behalf of them is generating hugely positive experiences and outcomes. The impact is quite profound and we are excited about the ongoing partnership with Insignia Crew. I heard about Insignia crew from a resettlement day I attended shortly before I left the British Army. Insignia Crew have a great knowledge of training organisations who deliver the very best Seafarer courses. I am very grateful for all the guidance I have received from Insignia Crew, if I had not known about and engaged with them, I believe I would still be looking for a job to this day. A highly professional motivated individual, Andrew guided me through a complicated joining procedure for a position aboard a large and high profile super yacht, Andrew was always on hand to answer any questions I had. 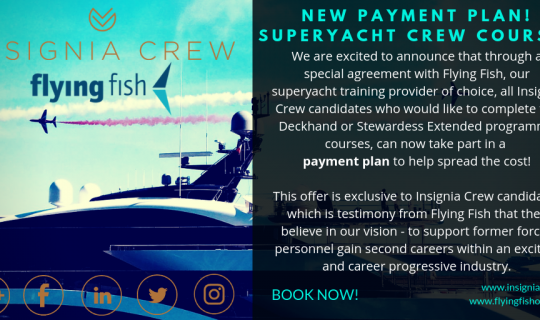 Thanks to the expert help and advice made available to me, I have secured a dream job with in the superyacht industry which will now provide me with opportunities to progress with my career! Thank you for your prompt and professional service during our recent search for a deckhand. Insignia Crews candidate has exceeded our expectations and has quickly become a valuable addition to our deck crew. We look forward to working with you in the future. Insignia crew have made my transition from military to a superyacht career easy and stress free. Some agents fire and forget about you but not Insignia crew, they continue to support you and keep in touch, are very friendly, professional and the biggest thing for me was that they are very approachable as I had no clue about the industry or indeed how it worked. I feel very strongly that Insignia Crew offers amazing opportunities to only the candidates that they truly believe will represent the company well, which shows their level of professionalism compared to other agencies. I could not recommend their services highly enough and I very much look forward to working with them again in the future in support of my new career. One of the great things about Insignia crew is that it is founded by a former Royal Marine, who understands the transferable skills and competence of Royal Marines and the value that we offer Superyachts. Other agencies told me they did not have "entry level" positions. Insignia Crew told me I had a strong CV and were confident they could find me a job – they were right and landed me an excellent position. Andrew contacted me after I posted a request for elite candidates on social media. Insignia Crew provided some exceptional candidates who were ideal, they had obviously done extensive vetting and pre-selection which saved me a lot of time. I cannot recommend Insignia Crew’s services highly enough due to their professionalism, in depth knowledge of its candidate pool and the selection process that follows a request for support. Recently I was asked to take over and set up a Private Research and Expedition vessel. I knew of Insignia Crew and the calibre of the candidates they supply. Having worked with Royal Marines before, I know the special skillsets they can bring to any operation. Insignia Crew fulfilled my brief immediately and effectively; I now have 4 former Royal Marines onboard; two are former Landing Craft Specialists, one a Vehicle Mechanic and the other a Commercial Diver. Insignia Crew’s candidates have fitted in perfectly and are now an integral part of the team. Insignia Crew – a selected finalist for the ‘Initiative of the Year’ British Ex-Forces in Business 2019 award! New payment plan! 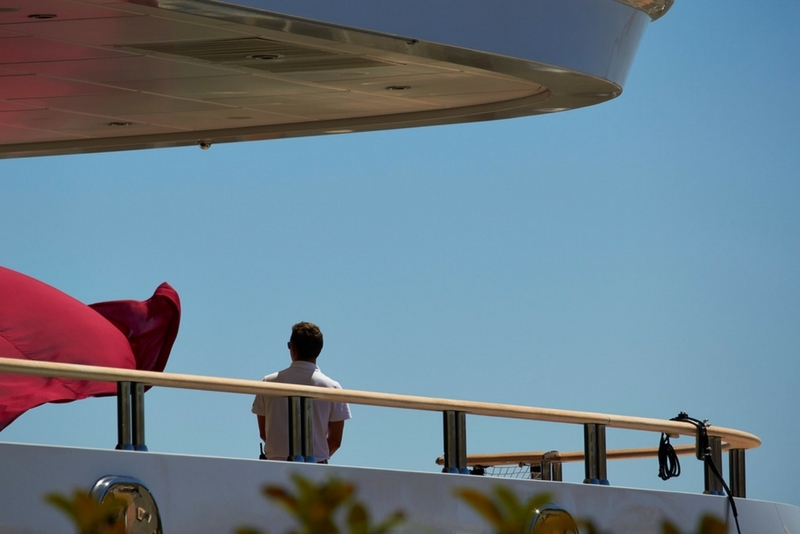 Superyacht crew courses. 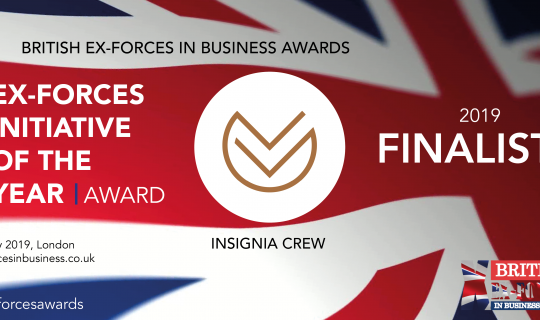 Insignia Crew - a selected finalist for the 'Initiative of the Year' British Ex-Forces in Business 2019 award!